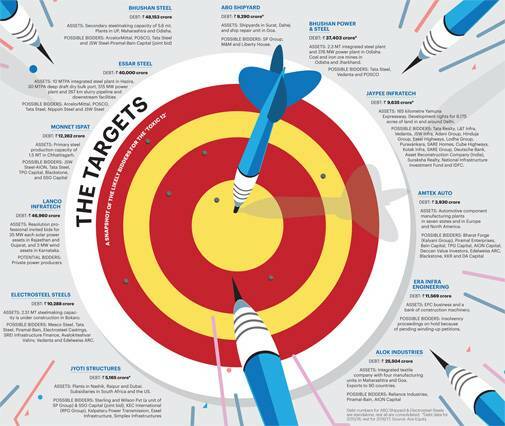 Corporate czars are looking to acquire stressed assets of India's dozen big defaulters. A look at what that means for industry and banks. On 17 November, a 27-member team from London-based ArcelorMittal drove into Essar Steel's 10 million tonne (MT) steel manufacturing complex at Hazira in Gujarat. 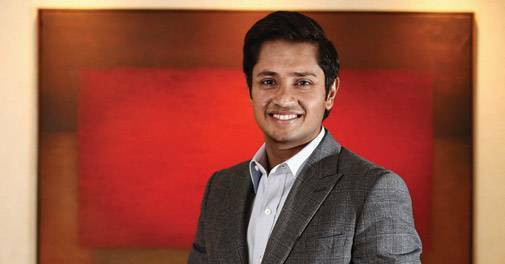 The team, led by Aditya Mittal, 41, son of steel baron Lakshmi Mittal and CFO of the world's largest steelmaker, had come for a first round of due diligence. Mittal asked for safety gear-yellow hard hats and steel toe leather boots-to walk through the plant. Mittal, who looks much younger than his years, took a close look at how steel was being made and discussed processes that Essar follows. It was a first step towards identifying and verifying records and processes at Essar Steel. For Essar Steel employees, Mittal and team were just one group of visitors to question them and check out the plant. Around the time of the ArcelorMittal visit, the Hazira complex hosted teams from Tata Steel and Japan's Nippon Steel. The Nippon team came with due diligence experts and M&A specialists. 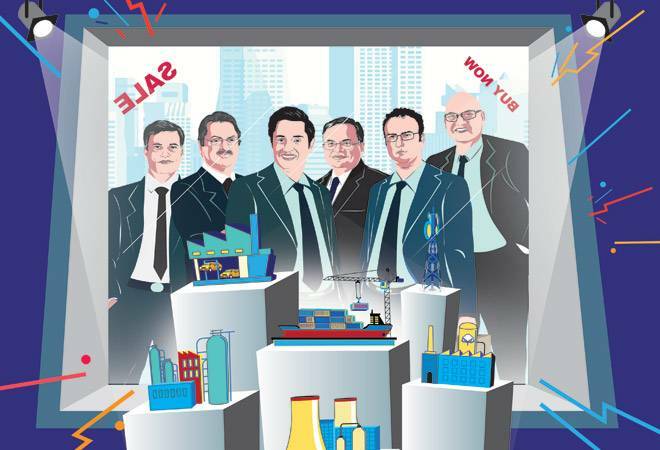 The race to acquire assets of the 12 big defaulters referred to the National Company Law Tribunal (NCLT) under the Insolvency and Bankruptcy Code (IBC) by their lenders, after being nudged by the Reserve Bank of India, or RBI, is gathering pace. It is raising hopes that banks which have lent money to these companies will not have to completely write off their investments and that at least a part of India's depressing `8 lakh crore non-performing assets, or NPA, story will be redeemed. Of the 12 large defaulters identified by the RBI for insolvency proceedings, at least 10 have been able to draw the attention of buyers, including international players and global investment funds. ArcelorMittal is hoping to pick up one of the big steel companies-Essar Steel or Bhushan Steel. Also in the fray are Korean giant POSCO and Indian steelmaker JSW Steel. In the case of Essar Steel, a resolution plan from the promoter Ruia family was also in the works but got halted after the government restrained promoters whose loans have been classified as NPAs from bidding for at least one year. As we go to press, news is trickling in that Essar and Bhushan promoters are in talks to pay their dues to be able to bid but it is uncertain whether the government will allow that. The promoters of Essar Steel, the Ruia family, will have to pay at least `7,000 crore in interest and principle to participate in the bid. The Singhal family, the promoters of Bhushan steel, will have to settle dues of `6,000 crore to keep their hopes alive. But the promoters have no surety of winning back their companies in a competitive bid since settling the dues doesn't stop insolvency proceedings. The action is not restricted to steel. Mumbai-based 152-year-old Shapoorji Pallonji Group has shown initial interest in acquiring India's largest private sector shipbuilding yard ABG Shipyard, power transmission tower maker Jyoti Structures and Bharati Shipyard. Mahindra & Mahindra too, is expected to pitch in with a rival proposal for ABG and Bharati. 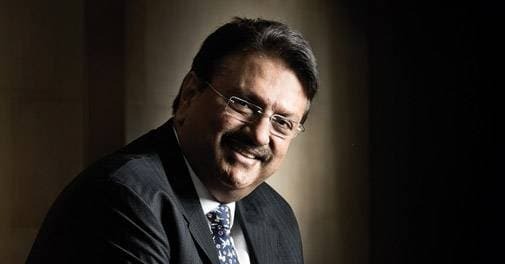 Ajay Piramal-controlled Piramal Enterprises is believed to be in the fray for acquiring three companies-auto ancillary company Amtek Auto, Electrosteel Steels and textile firm Alok Industries. Piramal recently floated a fund with Bain Capital for buying stressed assets that is expected to bid for Bhushan Steel along with JSW. It has entered into an agreement with Dalmia Bharat Cement to bid for debt-laden Binani Cement, which has plants with 6.25MT capacity in Rajasthan. Why is there a surge of interest in these companies? Bidders expect banks to take sizeable haircuts in return for equity from new promoters. Essentially, they hope to get good, working assets for a fraction of the cost of building new ones. Cyril Shroff, managing partner at legal firm Cyril Amarchand Mangaldas, expects an average 50 per cent haircut in most large cases. "Lower valuation for quality assets is an important factor. Also, the IBC provides a comprehensive tool for restructuring the company and prevents interference by existing promoters. 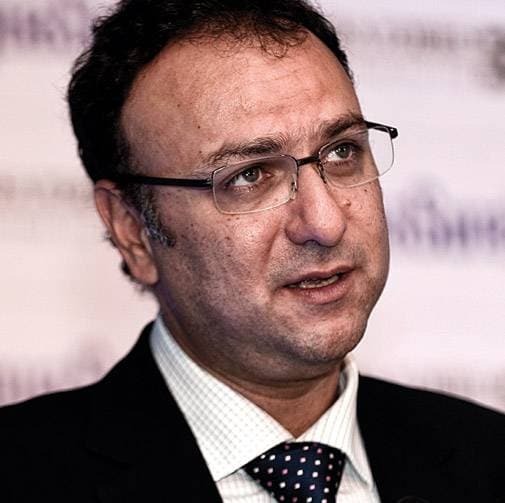 Both operational and financial restructuring (including for trade debt and statutory dues) are possible in one plan under the IBC," says Shroff. Banks, too, are not interested in holding on to stressed assets. After all, the IBC instructs creditors to try and revive a company - within 180 days, going up to a maximum of 270 days - and if no resolution plan is approved within the period, the company would go into liquidation. The IBC process includes expression of interest (EoI) to the resolution professional; due diligence; presentation of the resolution plan involving acquisition; approval of the plan by the committee of creditors and the NCLT; and implementation of the plan. While the IBC does not mandate it explicitly, in most large cases, a public process akin to bidding is being followed. The process till approval of the plan should take 120-150 days from the start of the insolvency proceedings and implementation will depend on the terms of the plan. While there are many contenders for large companies, there are few takers for small and medium companies. Alok Dhir, managing partner of legal firm Dhir & Dhir Associates, says, "Of the 400 companies in the NCLT, about 350 are facing difficulty in finding a buyer. Only existing promoters are the possible buyers there." Most, though, are barred from bidding for their assets under the new ordinance. For the big assets, though, the hunters are on the prowl. Here are the most prominent ones. London-based Marwari businessman Lakshmi Mittal, Chairman and CEO of ArcelorMittal with steel facilities across the globe, has long cherished a steel plant in India. Despite trying for 12 years, he has yet to gain success. This time around, he is looking to take over the assets of debt-ridden Bhushan Steel or Essar Steel to make an entry into India's `3.15 lakh crore steel market. For ArcelorMittal, it is just the time to be in India, especially when steel prices are on the rise globally-prices have risen over 10 per cent in the last six months from $510 to $570 per tonne. ArcelorMittal, with a net debt of slightly over $11 billion, registered a profit of $1.8 billion on revenues of $56.8 billion last year. "Mittal will look for large assets. Essar's 10 MT crude steel capacity is good enough. 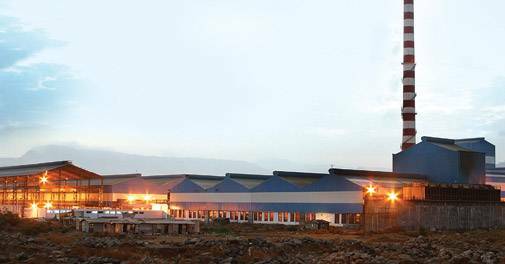 For starters, Bhushan's 5.6 MT plant is also not small," says a Mumbai-based investment banker. Before acquiring Arcelor in 2006, Mittal had signed an agreement with the Jharkhand government in 2005. It expired five years later and was followed by MoUs with Odisha and Karnataka, which, too, failed to take off. One project that might be in jeopardy if Mittal gets one of the assets is ArcelorMittal's joint venture with state-owned Steel Authority of India, or SAIL, in 2015, for manufacturing auto-grade steel. According to a steel ministry report, their interest in buying debt-ridden Indian steel companies could derail the planned $1 billion venture. Union Steel Minister Birender Singh recently said that both will sign an agreement for building a 1.5 MT plant. Till date, Mittal has made just one investment in India-a 29.05 per cent stake in Uttam Galva steel, which itself is now an NPA. There has been speculation on whether the investment in Uttam Galva may prevent Mittal from participating in the bid for stressed assets. Uttam Galva defaulted on `110 crore loans last year and, in April, one of the lenders, DF Deutsche Forfait, took them to the Mumbai Bench of the NCLT. ArcelorMittal stated that they hold a non-controlling minority shareholding in Uttam Galva, have no representation on the board of directors and no influence on management decisions and, therefore, cannot be treated as a defaulting promoter or an interested party. Bhushan is India's largest manufacturer of auto-grade steel, the forte of ArcelorMittal. Around 20 per cent of the steelmaker's revenue comes from the segment. Aditya Mittal also visited the Bhushan Steel plant as part of the due diligence. "ArcelorMittal is a turnaround specialist and has the technology. Valuation may not be an issue for them. The lenders are expected to take a haircut of 40-60 per cent in both assets," says an industry expert. According to the World Steel Association, steel production in India is projected to grow at 6.1 per cent in 2017 and 7.1 per cent (2018), the highest among the top 10 steel-consuming countries. If ArcelorMittal bids for Bhushan Steel, it may be pitted against JSW Steel and Tata Steel. Recently, a consortium that included JSW Steel lost out to a consortium led by ArcelorMittal for Italian steelmaker Ilva. 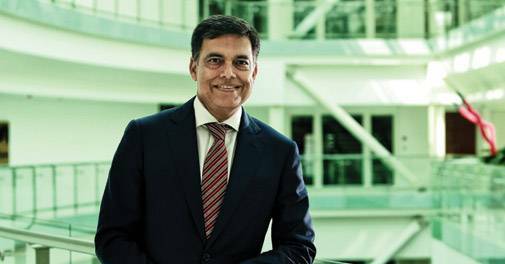 Sajjan Jindal is the most bullish when the steel industry goes through one of its periodic troughs. This time, too, during the slowdown, he expanded his steel business, acquired power and cement assets and is now foraying into electric vehicles and paint manufacturing. The stressed assets on the block draw his interest because of cheap valuations and the scope of turning them around. Recently, Jindal told BT that JSW was optimistic on the India growth story. "As no new investments are happening in these (struggling) sectors for the last few years nor are expected in the foreseeable future, we anticipate supply constraints once growth momentum picks up. JSW Group finds it an opportune time to make investments to take advantage of the upcoming growth cycle." JSW Steel-India's largest steelmaker at 18 MT-is looking to submit resolution proposals for Bhushan Steel, Monnet Ispat and Jaypee Infratech. JSW has synergy with both steelmakers because of their presence in western and eastern markets, where it has limited presence. They may also consider bidding for Bhushan Power and Essar Steel, says an investment banker. The troubles at Monnet Ispat, promoted by Jindal's brother-in-law Sandeep Jajodia, started when the Supreme Court de-allocated 214 coal blocks in 2014. In August 2015, lenders invoked Strategic Debt Restructuring, or SDR, after the company defaulted on loan repayments and converted the debt of `350 crore into a 51 per cent stake. In February this year, JSW Steel expressed interest in buying the majority stake of the lenders. However, the lenders did not accept the offer as it entailed a significant haircut, according to bankers. According to a media report, JSW Steel is in talks with multiple investors-including Piramal-Bain Fund, JFE Steel Corporation (which holds 15 per cent stake in JSW Steel), AION Capital and private equity (PE) firm KKR- for its proposed Bhushan Steel bid. Bhushan Steel's lawyer said in the NCLT that JSW has shown interest in acquiring the company. JSW Steel has a net debt of `41,549 crore at the end of the last fiscal. But the company has always posted operational profits, even after the global financial crisis and fall of commodity businesses. Since 2008, the total income of JSW Steel has grown 340 per cent to `55,758 crore, while profit doubled to `3,467 crore. The company, which was in flats, long, special and value-added categories, has added high value-added, auto and electrical grade steels to its portfolio. The tie-up with Japanese steelmaker JFE in 2010 helped it enter auto and electrical grade steels. The EBITDA per tonne has increased to $128 from $34 in 2002. Jindal is a known turnaround specialist. JSW Steel took over loss-making Ispat Industries from the younger brothers of Lakshmi Mittal in 2010 and turned it around in three years-from an EBITDA loss of `77 crore at the time of the acquisition, it registered an operating profit of `1,180 crore at the end of March 2013. The turnaround of Salem Works in Tamil Nadu plant-earlier called Southern Iron & Steel Company -has also been on similar lines. N. Chandrasekaran, who took over as chairman of the Tata group in February, has focused on resolving legacy issues. This included the $12 billion acquisition of European steelmaker Corus Plc in 2007. Corus, later rechristened Tata Steel Europe, accumulated huge losses after the financial downturn because of Chinese steel dumping in the UK and rise in iron ore and coking coal prices. Chandrasekaran reinitiated discussions with Germany's Thyssenkrupp for a joint venture in Europe and, finally, the efforts bore fruit. Over these years, India's third-largest steelmaker (domestic market), Tata Steel has stayed away from inorganic growth as gross debt mounted to above `90,000 crore. Tata Steel Europe, which made a profit of $1 billlion (`4,416 crore then) in 2007 at a consolidated level, sunk to losses in the following financial years. The debt continued mounting. At the same time, things were better in India despite the price crash. The Indian entity made profits of `3,445 crore in the last financial year. However, the company made a loss of `4,170 crore at the consolidated level because of the sick UK operations. At a recent shareholder meeting, Chandrasekaran said the company is looking at inorganic growth once again in addition to expanding its plant in Kalinganagar in Odisha. Tata Steel is doing due diligence for all the steel companies - Electrosteel Steels, Essar Steel, Bhushan Steel, Bhushan Power & Steel and Monnet Ispat. Sources say that it is keen on acquiring Essar Steel's Hazira plant and Electrosteel Steels. Acquiring Essar will help the Tatas become India's largest steel producer. While Tata Steel has 12.7 MT capacity (Jamshedpur and Kalinganagar), adding Essar (10 MT) will take it past JSW (18MT) and SAIL (17.5MT). The Hazira plant will help it become a formidable force in western markets. Electrosteel was one of the first companies where lenders had converted debt into equity under the SDR. Subsequently, in early 2016, the lenders sought buyers for their 51 per cent stake and shortlisted Tata Steel and London-based financial investor First International Group Plc. However, both the parties backed out after the lenders refused to take large haircuts, says an executive. Now that it has been referred to the NCLT, they might be more willing. The European problems are almost settled after the Tata-Thyssenkrupp deal. Now, they can think about consolidating their position in the home market. The company is expanding its brand new 3-million-tonne-per-annum (mtpa) plant in Kalinganagar to 6MT now; it has the scope to further scale up to 16 MT. The Jamshedpur facility will add another one million tonne. Tata Steel recently acquired a new smelter technology and its intellectual property rights from Rio Tinto, one of the leading global iron ore mining companies, for an undisclosed amount. The newly acquired technology, along with Tata Steel's existing innovative Hlsarna technology, has the potential to reduce the use of energy and carbon emissions by at least 20 per cent and bring down steel-making cost through use of lower priced raw materials, including steel scrap. The Shapoorji Pallonji Group has always shunned publicity. It has been even more publicity averse after the controversial removal of Cyrus Mistry from the top job of Tata Sons last year. Cyrus went to the NCLT against the Tatas for protecting minority shareholder interest - the Mistry family holds about 18 per cent stake in holding company Tata Sons. Following Cyrus, his elder brother Shapoor, who was heading the SP Group, resigned from the board of Indian Hotels Company, a Tata group company which operates the Taj group of hotels. The Mistry brothers are now looking to enter new business areas, say sources close to the group. "SP Group is actively pursuing opportunities in the distressed space for deploying its cash reserves," says a banking source. Three companies on their radar are ABG Shipyard, Jyoti Structures and Bharati Shipyard. The $2.5 billion SP Group has interests in shipping and ports. Last year, it picked up a 51 per cent stake in Odisha's Gopalpur port for `700 crore and has pledged an investment of `2,000 crore to ramp up capacity to 20 mtpa by 2020. Earlier, it tried to acquire a controlling stake in Karaikkal port in Tamil Nadu from Marg Constructions and its private equity investors, but the deal did not go through. "The talks were at an advanced stage. Even the valuation was decided. But the deal could not go ahead because Marg was not willing to pass on daily operations and management control to Shapoorji," says an investment banking source. Simar Port, a special purpose vehicle set up by the SP Group, was granted a letter of intent by the Gujarat Maritime Board in 2016 for development of a liquefied natural gas (LNG) terminal at Chhara port, in association with Hindustan Petroleum (HPCL). Jyoti Structures will be a strategic fit for Shapoorji Pallonji. "SP Group can expand its engineering and construction business in power and telecom EPC with this takeover," says a company source. Sterling and Wilson Pvt Ltd, a Shapoorji Pallonji group company, and Asia-focused distressed assets investor SSG Capital are jointly looking to bid for power transmission tower maker Jyoti. Sterling and Wilson is an engineering, procurement and construction company engaged in mechanical, electrical and solar industries. KEC International, part of the RPG group, Essel Infrastructure, Simplex Infrastructures and Kalpataru Power Transmission (KPTL) are also expected to bid for Jyoti Structures. Representatives from KEC International and KPTL have met insolvency resolution professionals to discuss a potential bid. SP Group's partner SSG Capital Management, founded in 2009 by former Lehman Brothers executives Edwin Wong, Andreas Vourloumis and Shyam Maheshwari, is raising close to $2 billion across two Asia-focused new funds to invest in distressed assets in China, India and South-East Asia. The bidding process for Jyoti Structures is expected to be completed by the end of December. In addition to the distressed assets, the SP Group has submitted a bid to build an LNG regasification terminal at Mumbai Port Trust. Shapoorji Pallonji Infrastructure Capital Company (SP Infra) is one of the two entities that have submitted bids to develop a floating storage and regasification unit that can load 3.5 mtpa of LNG at Mumbai port. Global insurance firm Allianz Group recently partnered with SP Group to set up a $500 million real estate fund which is looking to invest in commercial office properties in India. SP Group has only one company listed on stock exchanges, Forbes & Company, which is valued around `3,400 crore in the stock market. Ajay Piramal is flush with cash. His flagship Piramal Enterprises is supposed to be in the fray for five distressed assets-Alok Industries, Bhushan Steel, Electrosteel Steels, Amtek Auto and Binani Cement. Piramal Enterprises had launched a $1 billion distressed asset investment platform with private equity fund Bain Capital Credit in 2016. The focus of Piramal's fund would be to acquire large distressed assets from financial institutions and work towards their revival and turnaround. Piramal said earlier that the fund is looking at many of these and "they are all under discussions. We are looking at many sectors-steel, pharmaceuticals, auto and ancillaries, cement, power". He reportedly said, "We will put in equity and also raise debt. If the promoter is good, we may go with them, but if we think the promoter should have a minority stake, we will go with that." Ajay Piramal plans to create a $20 billion empire by 2020. Piramal Enterprises (earlier Piramal Healthcare) sold the drugs formulation business to Abbott for $2.9 billion in 2010. Piramal's net worth has grown from $1 billion to $5.6 billion in the last seven years. It has been investing in financial services (including the investment in Shriram Capital), information management and real estate. But recent move for a merger between IDFC and Shriram Capital fell through because of valuation issues. Piramal was earlier interested in buying Amtek Auto, before the insolvency proceedings started. Bain Capital, TPG Capital, DA Capital, AION Capital, Deccan Value Investors and Edelweiss Asset Reconstruction Company were among the 21 investors which submitted their EoI. It is not clear who all are in the race now. There were reports that Piramal-Bain platform has been scouting for KSK Energy Ventures' partially commissioned 3,600 MW power plant in Chhattisgarh. Piramal Enterprises reported a consolidated revenue of `8,547 crore and a profit of `1,252 crore in the last financial year. It had cash and cash equivalents of about `1,541 crore at the end of the last financial year. 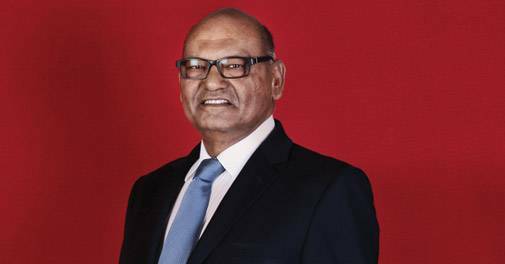 Scrap dealer-turned-metal baron Anil Agarwal has an uncanny eye for spotting value in low-key assets. In 1995, he acquired Madras Aluminium, followed by Bharat Aluminium and Hindustan Zinc from the government in the early 2000s. The acquisitions of Sesa Goa, Dempo and Bellary Steel & Alloys followed. Cairn India was the last big acquisition in India. Agarwal is reportedly looking at Bhushan Power & Steel, Jaypee Infratech, Electrosteel Steels, Deccan Gold Mines and the Bunder diamond mine in MP (returned to the government recently by Rio Tinto). The land parcel of Jaypee-it has development rights for 6,175 acres in and around Delhi along the Yamuna Expressway-is the major attraction for Agarwal. Vedanta initiated talks with South India-based Deccan Gold Mines in July to acquire a controlling stake in the company for a bigger foothold in precious metal mining. The talks are yet to fructify. The company is valued at `350 crore in stock markets. For the $9 billion diamond mine, Adani may also bid, say reports. Rio Tinto returned the Bunder deposit, which was discovered by the company in 2004, to the Madhya Pradesh government in February to conserve cash and cut costs. The company spent around $90 million over 14 years. Vedanta Resources, the holding company of Agarwal's Vedanta group, which includes foreign asset Konkola Copper Mines, generated revenues of $11.5 billion, EBITDA of $3.2 billion and $1.5 billion of free cash flow post expansion capex in the last financial year. The Indian entity Vedanta Ltd-formed by the merger of Sterlite Industries, Sesa Goa, Hindustan Zinc and Cairn India - posted revenues of `71,721 crore and a profit of `9,873 crore. It has a gross debt of `71,569 crore. Korean steelmaker POSCO and Japanese giant Nippon Steel are the major foreign firms looking for acquiring assets in India. While Nippon is keen on Essar Steel, POSCO is apparently negotiating for Essar Steel and Bhushan Power & Steel, says a banking source. "They might even look at Bhushan Steel," he adds. POSCO planned to invest $12 billion in India and signed a memorandum of understanding (MoU) with the Odisha government in June 2005 to construct a steel plant. But regulatory delays and environmental issues blocked the company from starting construction. The MoU expired in 2011. POSCO India has electrical and galvanized and galva-annealed steel facilities in Maharashtra. Other Indian majors bullish about acquisitions include Dalmia Bharat (for Electrosteel Steels and 3MT cement plant of Murli Industries) and InterGlobe Aviation, which operates airline IndiGo (for Air India). All the cement majors - UltraTech, Ambuja Cements, Lafarge, Heidelberg, India Cement, Orient Cement, Ramco Cement, Shree Cement, Dublin-based CRH and Dalmia Bharat - are believed to be in the race to buy Binani Cement, which has 11.25 MT cement capacity in India and China, and grinding units in Dubai. There are other buyers and other assets as well - from airlines to telecom to cement-but not all of them are in the NCLT under insolvency proceedings. The biggest excitement is in the assets referred to the NCLT simply because buyers hope to get great bargains.